I smoked my first Alonso Menendez in Brazil in 2003. It would be a few years before I saw the brand again, when Alonso Menendez (and Dona Flor) were brought to the U.S. market. Legal issues and other challenges meant Alonso Menendez was pulled from the market for a time before being introduced again around 2012. 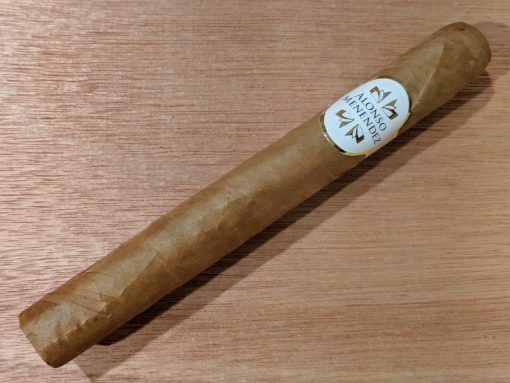 This Alonso Menendez blend features plenty of Mata Fina tobacco (for which Brazil is known) and a Connecticut wrapper (though the origin of that wrapper is unclear). The result is a well-constructed, medium-bodied cigar with notes of coffee, toasted walnuts, cream, and light spice.